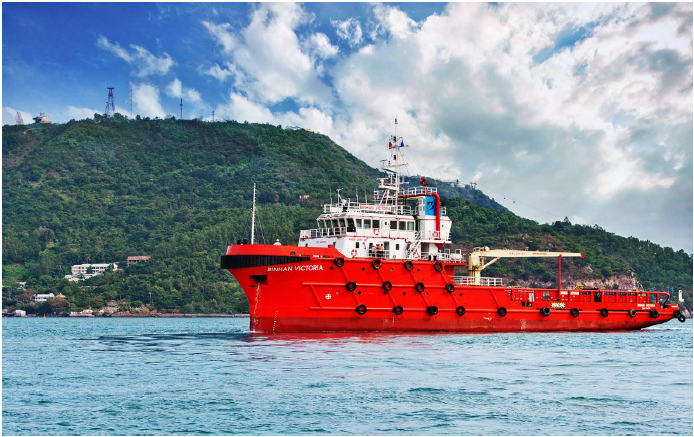 Binh An shipping company, a leading marine service provider for the shipping and offshore Oil and Gas industries in Vietnam, is pleased to announce that it has placed orders for 1 more vessel worth for the anchor handling tug supply vessels ( AHTS vessel ) The AHTS with 55 tons bollard pull will be built at a Saigon shipmarin shipyard in Vietnam, their the 1st AHTS was also built at there. This AHTS is designed by SESCO company, a designer under Vinashin in Vietnam. It will be powered by Caterpillar main engine 2 x 2100 BHP with Rolly Royce CPP propulsion.